The armed conflicts that burdened Nicaragua during the Sandinista Revolution (1974-1979) and the Contra War (1979-1990) caused a multitude of problems in the country. Environmental problems were part of both the causes and consequences of the armed conflicts. Inequality of income distribution and increasing poverty were the primary causes of the revolution, but indirect environmental causes included destruction of hardwood forests, elimination of wildlife habitats, and toxic waste dumping. During the Contra War, the Sandinista government not only faced extreme economic problems stemming from United States economic sanctions but it also faced a variety of environmental problems including landmines hidden throughout the country, pesticide runoff, and soil erosion. Two back-to-back conflicts wreaked havoc on Nicaragua during the 1970s and 1980s. The Sandinista Revolution (1974-1979) grew out of long dictatorship that exacerbated income inequality in Nicaragua. The Contra War (1979-1990) was the response to the Sandinista government taking power in the country. Environmental aspects played a role in both the causes and results of the wars. While these aspects had mostly indirect impacts, they did contribute to the conflicts. The primary causes of the revolution in Nicaragua were increasing poverty and inequality of income distribution (Paris 2002, 40). The Somoza family harshly ruled the country from 1936 to 1979 under a dictatorship that catered to the elites of Nicaragua (Paris 2002, 42). The Somozas did not view the majority of Nicaraguans as worthy of poverty alleviation. In the 1950s during a visit to Costa Rica, General Somoza commented to President José Figueres that “since Nicaraguan people were nothing more than oxen, they didn’t need schools. What oxen need is hard work, not education” (Vandermeer 1991, 40). This philosophy is reflected in how the Somoza dictatorship treated the Nicaraguan poor. The Somozas intentionally kept a large part of the Nicaraguan people illiterate (Vandermeer 1991, 40). In adherence with this philosophy, lands of the country’s poorest citizens were taken and sold to the agricultural elite who started coffee plantations and latifundios for the production of other large agricultural crops like cotton, sugar, and bananas. The ever increasing delegation of land to agricultural exports caused a drop in domestic food production, making the lives of the poor even more difficult (Paris 2002, 42). From 1952 to 1967, land delegated along Nicaragua’s Pacific plain for cotton production expanded 400 percent while peasants’ land previously devoted to corn, bean, and sorghum dropped by over 50 percent (Fabor 1992, 19). These inequalities were exacerbated in 1972 when an earthquake destroyed much of Managua. Nicaragua received millions of dollars in international aid but it did not serve any of the needs of the country’s poor as it was funneled to the elite allies of President Somoza (Schroeder 2005, 69). Although it cannot be denied that this inequality was the primary cause of the armed conflicts in Nicaragua, there were also environmental consequences to this increasing inequality. Hardwood forests including ebony, cedar, mahogany and granadilla as well as coastal mangroves were destroyed to make way for the latifundios. As a result, the habitats of many animals like howler monkeys, anteaters, white-lipped peccaries, armadillos, agutis, coyotes, tepescuintles, and pumas were destroyed leaving these species in great danger of elimination (Fabor 1992, 19) and subsequent loss of biodiversity. In addition, industrial plants were given permission by the Somoza dictatorship to dump their toxic waste into Lake Managua. U.S. owned Pennwalt is said to have dumped an estimated 40 tons of mercury in the lake between 1968 and 1981 (Fabor 1992, 22). In 1974 the Frente Sandinista de Liberación Nacional (FSLN ) or the Sandinista National Liberation Front, also known only as the Sandinistas, kidnapped government officials. A violent conflict broke out shortly after nationwide strikes of the government. It ended when Somoza fled the country in 1979 (Almanac 2005, 808). The Sandinistas took control of the capital in 1979 and attempted to alleviate the plight of the poor by creating state-owned farms (Paris 2002, 42). However, the new self-declared government faced many obstacles. Drawing on fears from the Cold War, the Soviet invasion of Afghanistan and the Vietnamese invasion of Cambodia, the United States supported the Contras, a coalition of groups aimed at defeating the left-leaning Sandinistas (Schroeder 2005, 68). The United States blocked loans from the World Bank and the Inter-American Development Bank to Nicaragua (Paris 2002, 42). This put major economic stress on Nicaragua because Somoza left the new government with $1.6 billion of debt. The U.S. government also imposed restrictions on trade with Nicaragua. In 1983, the Reagan administration reduced Nicaragua’s sugar quota by 90%. It also discouraged U.S. investment and raised the risk to investors by cancelling the Overseas Private Investment Corporation insurance for Nicaragua (Leogrande 1996, 337). To make matters worse, the administration imposed a full trade embargo on Nicaragua in 1985 (Leogrande 1996, 338). Nicaragua could no longer import parts needed for the agricultural industry nor could it export its many agricultural products to the U.S. It is estimated that the embargo cost the country $50 million a year (Leogrande 1996, 338). From 1981 to 1985, Honduras received a dramatic increase in U.S. military aid from $3.9 to $77.4 million, as the U.S. trained forces in Honduras to fight the Sandinistas in Nicaragua (Schroeder 2005, 68). In 1985, the U.S. House of Representatives refused President Reagan's request for military aid to the Contras. The Reagan administration then orchestrated a secret arms deal with Iran and sent the proceeds to the Contras, a trade later known as the Iran-Contra scandal in the United States (Almanac 2005, 808). Along with the economic sanctions placed by the United States on the Sandinista government, the contras attempted to cause further economic woes. They targeted facilities and workers of programs like agrarian reform, health provision and education that were put in place to carry out the poverty alleviation goals of the Sandinistas. The Contra forces attacked facilities – agricultural cooperatives, schools, health care centers, bridges, power lines, and other infrastructure – essential to the Sandinista government as well as committing documented human rights abuses against the Nicaraguan population (Schroeder 2005, 70). For example, one quarter of health clinics in Nicaragua were destroyed during the conflict (Du Nann Winter 1998, 419). Obviously by attacking health clinics, the contras made the lives of Nicaraguans all the more miserable. Schools were another target of the contras. In addition, the contras attacked farming cooperatives in an attempt to decrease productivity and burden the new agrarian reform program. The integrated pest management (IPM) program that the Sandinistas organized to control pesticides in the cotton industry was also targeted (Vandermeer 1991, 44). Over 100 technicians from the IPM program were killed (Thrupp 1988, 61) and pesticide warehouses were bombed. Conservation workers for the Nicaraguan Institute of Natural Resources and the Environment, created by the Sandinistas to deal with environmental problems such as deforestation, erosion, pollution and loss of wildlife (Fabor 1992, 38), were also assassinated (Vandermeer 1991, 44). In addition, during 1985 and 1986 coffee harvests, the contras attacked around 50 state and cooperative farms and ambushed trucks carrying farm workers, further starving the country of hard currency (Leogrande 1996, 341). In a suprising victory Violeta Barrios de Chamorro, the candidate for a coalition of opposition groups to the Sandinistas, won the 1990 presidential election. She offered Nicaragua something that Daniel Ortega, the leader of the Sandinistas, could not: unity despite political differences. Her own family had been divided by the war. Two of her children were Sandinistas and two others opposed the Sandinista government. She has also suffered loss like many Nicaraguans. Her husband, the editor of a daily newspaper La Prensa, was assassinated in 1978 during the Somoza dictatorship. She campaigned on the fact that she could unite the country as she had done with her family and heal the nation (Cupples 2004, 9). After Chamorro's victory the Bush administration lifted the embargo on Nicaragua and asked Congress for $300 million in economic assistance for Chamorro’s government (Leogrande 1996, 343). Daniel Ortega won the Nicaraguan presidency on November 5, 2006, after first losing office to Chamorro in 1990, and then Enrique Boleros in 2002 (BBC “Ortega Wins” 2006). The United States attempted to intervene against Ortega in this election. In April 2006, US Ambassador Trivelli called a meeting about forming an alliance in opposition to Ortega with Nicaragua’s right-wing parties (BBC “US Urges” 2006). Although now that he has won, Washington now says they will work with Ortega (BBC “Ortega Wins” 2006). Ortega is said to have soften his leftist rhetoric and to be behaving more like a dictator. Some Sandinistas who challenged Ortega have been expelled from the party (Beale 2006). While many businessmen have their doubts about Ortega, there is still support for him among the poor citizens of Nicaragua who benefited from his policies during his former presidency (BBC “Ortega Wins” 2006). Drawing on fears from the Cold War the United States supported the contras, a coalition of groups aimed at defeating the left-leaning Sandinistas (Schroeder 2005, 68). The CIA worked with the contras to train and arm two forces made up of the indigenous Miskito community. One of the forces was called KISAN, trained in Honduras, and fought with the FDN, the largest contra force. The second was called MISURASATA and fought with the ARDE, a contra force based in Costa Rica. Both of these groups, however, agreed to cease fighting with the Sandinista government in 1985 (Harris 1987, 7). Shortly after President Reagan took office in 1980, the United States cut off food aid in the amount of $9.6 million and cancelled a $15 million dispersal of aid that remained undelivered from the Carter administration. Even though the United States attempted to totally alienate Nicaragua, many other countries offered assistance. The Soviet Union offered Nicaragua 20,000 tons of wheat when the US cancelled a food aid shipment of $9.6 million. Cuba offered $64 million in technical aid and Libya offered a $100 million loan (Leogrande 1996, 331). After the U.S. placed the trade embargo on Nicaragua, Western European countries loaned Nicaragua $190 million and the Soviet Union and Eastern Europe loaned $202 million (Leogrande 1996, 340). There were both environmental causes and environmental consequences of the armed conflicts in Nicaragua. In both cases the environmental impact was indirect and mostly resulted in land pollution. The environmental causes stemmed from a transition of long-term sustenance farming, involving mostly poor farmers, to massive agricultural expansion, benefiting mostly the elite. As these large-scale agricultural farms expanded, poor communities, unspoiled forests, and biologically diverse wildlife habitats were destroyed. While the destruction mostly involved land pollution, water pollution was also a problem. For example, industrial plants were given permission by the Somoza dictatorship to dump their toxic waste into Lake Managua. U.S.-owned Pennwalt is said to have dumped an estimated 40 tons of mercury in the lake between 1968 and 1981. Managua’s supply of drinking water was threatened when this contamination of Lake Managua approached Asososca Lagoon (Fabor 1992, 22). An estimated 132,000 land mines were laid in Nicaragua, and were found to have originated from many countries including the former Soviet Union, United States, former East Germany, former Czechoslovakia, and Egypt (Faulkner 1998, 56). These landmines were planted without markings or warnings to caution civilians in an attempt to target populations not involved in the conflict. According to the Nicaraguan Human Rights Commission, in 1986, 49 civilians were killed and 20 were wounded by landmines. 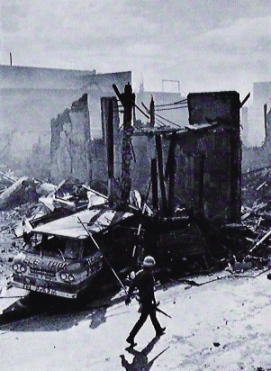 Twenty-two Sandinista soldiers were killed and 38 wounded (Faulkner 1998, 58). As of 1995, Nicaragua still had 100,000 landmines left to be removed (Faulkner 1998, 60), but by March 2006, this number had decreased to approximately 27,318 (ICBL). The contras purchased many landmines between 1985 and 1986 and placed many of them in the Northern parts of the country known to be frequented by civilians (Faulkner 1998, 56). The Sandinista government planted landmines in more strategic, although expensive, locations such as bridges, high-tension towers, electrical substations, and a hydroelectric plant. The Sandinistas concentrated their landmines along the border with Honduras in what was contra territory (Faulkner 1998, 57). During the agricultural expansion before the wars, hardwood forests including ebony, cedar, mahogany and granadilla as well as coastal mangroves were destroyed to make way for the latifundios. As a result, the habitats of many animals like howler monkeys, anteaters, white-lipped peccaries, armadillos, agutis, coyotes, tepescuintles, and pumas were destroyed leaving these species in great danger of elimination (Fabor 1992, 19) and subsequent loss of biodiversity. There were a variety of other problems that developed during the wars. During the 1980s, the contras set fire to many agricultural lands while attacking the coffee plantation workers and other agricultural workers (Garfield 1985, 122). Up to 74,000 acres of pine forests were destroyed by the contras due to fires (Du Nann Winter 1998, 418). Exploding munitions caused additional damage to forests. Also refugees that were forced to live in the forests were forced to use slash and burn agriculture to grow food (Du Nann Winter 1998, 417). On the contrary, some argue that many of the rainforests in Nicaragua might have been spared by the war. The necessary roads to extract precious hardwoods from rainforests were not built because many of the rainforest areas were populated by contra forces. Another reason that rainforests were not encroached upon is a successful agrarian reform program created by the Sandinistas. Forests are often occupied by landless peasants in search of agricultural land to grow crops. However, this demand for land was decreased by the Sandinistas’ agrarian reform program. In 1985, only 11% of land was owned by farms larger than 850 acres and over 127,000 families had received title to their land (Vandermeer 1991, 42). Another important environmental effect of the conflicts was pesticide use. The use of pesticides was nothing new to Nicaragua when the conflicts broke out. 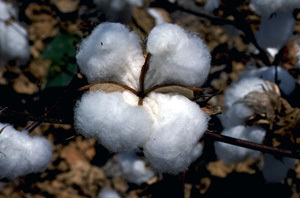 They have been used since the 1950s with the growth of the cotton industry which requires large amounts of pesticides. This industry is especially infamous for acute pesticide poisoning and as of 1992, Nicaraguans (and Guatemalans) had the highest concentrations of DDT in their body fat than any other group on earth (Fabor 1992, 23). The use of pesticides increased under the Sandinista government as a result of their agricultural subsidies. In an attempt to aid their political base of small farmers, the Sandinistas subsidized agricultural inputs including pesticides. As a result, pesticides were cheaper for farmers to purchase, in turn making it more economically efficient to use more pesticides. This increased use caused environmental damage and toxic runoff (Vandermeer 1991, 41). However, the Sandinistas' subsidies were not created haphazardly. They were part of planned projects to develop integrated pest management (IPM) so that pest control could improve profits but at the same time be environmentally sustainable (Thrupp 1988, 37). However, this plan was affected by the war. Not only was the government forced to use 40% of its budget on war spending, which reduced the amount that could be spent on these programs, but the plan was also harmed by the fact that the projects’ technicians became targets of the contras and over 100 technicians were killed (Thrupp 1988, 61). The war made IPM essentially impossible. The environmental effects of the conflicts in Nicaragua also had an impact in Honduras. The Swan Islands were left as a dumping ground for military tins, hangars, barrels, explosives, and fuel tanks by U.S. and contra forces. This destruction has been criticized by the National Autonomous University of Honduras for "the present and future impact of pollution on marine species and terrestrial vegetation" (Earth Island Journal 1997, 12). Nicaragua felt the majority of the environmental impact of the war. However, there is evidence of arms dumping in Honduras where contra forces trained with the U.S. military. The armed conflicts in Nicaragua should technically be categorized as civil wars, although this categorization is not exactly black and white. The initial war, the Sandinista Revolution, was an uprising against a brutal dictator in support of the marginalized and impoverished majority of Nicaraguans. The second and subsequent war, the Contra War, was led by a coalition of groups in response to the Sandinistas, who in their mind were too left-leaning. The contras, however, were backed by the United States based on Cold War fears of communism. Therefore, although there was international influence on the war, as well as gathering of forces in Honduras and Costa Rica, most of fighting was within Nicaragua and among Nicaraguans. The level of conflict in both the Sandinista Revolution and the Contra War is medium as indicated by the fatality level below. Correlates of War estimates the fatalities of the Nicaraguan conflicts at 35,000 during the Sandinista Revolution and 43,000 during the Contra War (Correlates of War). Therefore, the total estimated death toll caused by the two conflicts is approximately 78,000. This total would appear to be made up of largely civilian deaths as The Toronto Star quoted 30,000 “Nicaraguan lives” lost during the Contra War (The Toronto Star, 1990). It is hard to distinguish between civilian and military fatalities because in both wars, the Nicaraguan army was fighting other Nicaraguans. During the Sandinista Revolution, the Sandinista forces were made up of Nicaraguans fighting the Nicaraguan army. On the contrary, during the Contra War, the Sandinista government’s army was fighting against the contras. In guerrilla warfare such as this it is often hard to distinguish who is a civilian and who might be part of the resistance. Furthermore, the death toll estimate could continue to increase since, as of March 2006, there were still about 27,318 landmines in Nicaragua (ICBL). The armed conflicts that arose in Nicaragua were the result of increasing income inequality. The relationships involved in this complex situation can be seen in the diagram below. As commercial agriculture was promoted during the Somoza dictatorship, more and more people lost control over their land. This loss exacerbated their already impoverished livelihoods. The earthquake in 1972 devastated Nicaragua but the aid it received from relief agencies was funneled to the rich allies of the Somoza family, further exacerbating the income inequality. This eventually led to the Sandinista Revolution beginning in 1974. The diagram below outlines the interactions that were at play during the Nicaraguan conflicts. The population of Nicaragua contributes to the labor force and therefore the agricultural output per capita of Nicaragua. As land was handed over to the elites of the country, the profits made off of agriculture increased the income disparity. 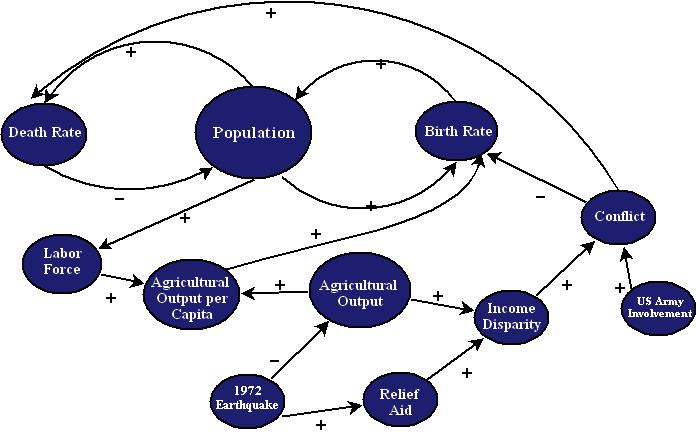 The 1972 earthquake can also be seen in the diagram as the effects of the earthquake itself as well as the funneling of international aid to the elite both contributed to the income disparity in Nicaragua. This growing income disparity along with the involvement of the US Army contributed to the conflict. The conflict then increases the death rate, negatively affecting the population. After Violeta Chamorro was elected President in 1990, a sort of compromise was developed. Daniel Ortega, the leader of the Sandinistas, was allowed to stay on as commander-in-chief of the army. The contras were allowed to demobilize voluntarily and precautions were taken to make sure demobilization was a safe process. In addition, the contras were granted 20 percent of the Nicaraguan land that they could occupy and police on their own (Walter 1997, 352). Ortega returned to the presidency on November 5, 2006 (BBC News "Ortega Wins" 2006). Angola’s Landmines: In 1994 the two warring sides in the Angolan civil war signed the Lusaka peace accords and subsequently have slowly retreated from their entrenched positions. However, due to the heinous number of land mines Angola will remain a country afflicted by the scourge of war for decades to come because the devices act as a silent enemy not allowing the population to progress and rebuild. Angola Diamond Mining and War: The Republic of Angola has been at war for over 35 years, first against the Portuguese and, after 1975 with outside help, between themselves. Angola has the potential to be a wealthy developed African nation since it possesses large petroleum and diamond reserves, but due to nearly 4 decades of war, remains to be seriously underdeveloped. The 20 year war between the Popular movement for the Liberation of Angola (MPLA) headed by Eduardo Dos Santos and the National Union for the Total Independence of Angola (UNITA) headed by Dr. Jonas Savimbi, has left the country covered with 10 to 20 million land mines. Deforestation in Haiti: Haiti is one of the many developing countries that has sought to increase its growth and end its cycle of poverty. One of the ways in which it has done this has been by cutting down the forests. Most of Haiti's population live below the poverty line. Nearly 70 percent of all Haitians depend on the agriculture sector, which consists mainly of small-scale subsistence farming and employs about two thirds of the economically active work force. However, extreme soil erosion and deforestation mean that Haiti's environment is one of the most devastated in the world. Guatemala-Maya Civil War: The Guatemala civil war has been in progress since 1954 when the Guatemalan military led a CIA-backed coup against the administration of President Jacobo Arbenz Guzman, the country's popularly elected president. The protracted struggle ended "officially" on April 7, 1995, when the current Guatemalan government and the leftist guerrillas signed an accord to protect the rights of the 23 different Native American groups in the country. During the last forty years, the military has been levying a campaign of terrorism and genocide against these groups, most of them Mayas, in order to distribute native peoples' land among plantation owners (Rohter, Larry. http://www.uop.edu/~aiida/contemp4.htm p.1). The main purpose for the war's continuations centers around the issue of land use and rights. El Salvador Civil War: El Salvador's ecological and social crises are rooted in an historical conflict over control and use of land. Both the land use patterns and the conflicts themselves have furthered environmental destruction in El Salvador. This small Central American nation has always been a primarily agricultural country and despite recent shifts, agriculture has continued to be the backbone of the economy. Conflicts and peasant uprisings over land date back more than 4 centuries to the arrival of the Spanish conquistadores. Since the late 19th century, the most fertile lands have been concentrated in few hands and used to grow coffee for export, forcing small-scale farmers onto marginal quality lands and making their subsistence increasingly precarious. A vicious circle was created whereby concentration of land by the wealthy furthered inequality, which led to land degradation and caused conflict that finally escalated into full scale civil war in 1980. 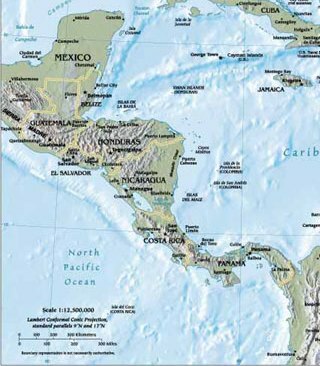 Nicaragua/Honduras Territorial Dispute: The Central American countries of Nicaragua and Honduras have a long history of territorial disputes, dating back to the year 1906, when they were in dispute over a coastal area. The dispute of these two countries continues today. They are now arguing over a tiny island in the Caribbean called Cayo Sur (South Cay), and island rich in natural resources, such as fish and oil. Recently, the case has been handled by the Organization of American States (OAS) and taken to the International Court of Justice (ICJ), and a decision is pending. Cultural and Environmental Impacts of Military Bomb Testing in Hawaii: For fifty years, from 1941 to 1990, six miles off the shore of Maui, the Hawaiian Island of Kaho'olawe was used as an official site for the testing of bombs and other munitions by the United States Military. Bombing of this island, home to some of the most sacred historical places in Hawaiian culture, is reported to have begun as early as 1920. Under protest, Native Hawaiians and cattle ranchers were displaced from their homes when the island was commandeered from the Territorial Government of the Hawaiian Islands. Ogoni and Nigeria Conflict Over Oil: Oil has been an important part of the Nigerian economy since vast reserves of petroleum were discovered in Nigeria in the 1950s. For example, revenues from oil have increased from 219 million Naira in 1970 to 10.6 billion Naira in 1979. Currently, Nigeria earns over 95 percent of its foreign exchange from the sale of oil on the global market. Foreign oil companies have dominated oil exploration, drilling, and shipping in Nigeria. For example, Shell Oil controls approximately 60 percent of the domestic oil market in Nigeria. Shell operates many of its oil facilities in the oil-rich Delta region of Nigeria. The Ogonis, an ethnic group that predominate in the Delta region, have protested that Shell's oil production has not only devastated the local environment, but has destroyed the economic viability of the region for local farmers and producers. Soccer War: The border between El Salvador and Honduras has been in dispute since the Spanish arrived in Central America. The Spanish divided the Central American territory into several viceroyalties whose borders have more or less remained since the sixteenth century. The border between Honduras and El Salvador, however, soon became disputed as El Salvador is about one half the size of Honduras with almost double the population. Attempts to demarcate the border throughout the seventeenth, eighteenth and nineteenth centuries failed. On June 15, 1969, after a large influx of Salvadoran refugees in Honduras, the border dispute flared into a full-fledged battle between the two countries. After El Salvador defeated Honduras in a World Cup soccer match in San Salvador, national pride became the issue. Chiapas Civil War and Environment: Long before the armed uprising in Chiapas, on January 1, 1994, the Mexican military was well aware of political discontent rising in its southernmost state. 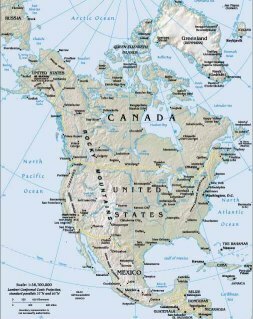 However, they chose to conceal this information in order to assure approval of the North American Free Trade Agreement (NAFTA) with Canada, Mexico and the United States (Inter Press Service, March 22, 1995). It was not a coincidence that the peasant revolt, led by the Zapatista National Liberation Army, occurred on the same day NAFTA was signed and implemented. With world attention focused on the implementation of NAFTA, the Chiapas uprising was set for the international agenda as well. NAFTA invoked feelings of resentment amongst peasants and members of the guerilla army. Belize Logging Conflict: How much is the Belizean rainforest worth? The Government of Belize values the rainforest at US $0.60 per acre, since it began selling logging rights at that price to foreign companies in 1993. 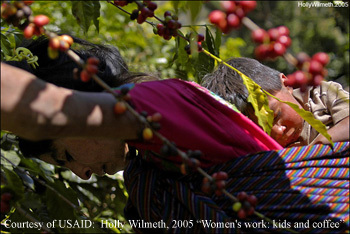 The Mayan people of the Toledo district value the rainforest in a different way. Since 2,000 B.C., they have relied on the rainforest for their basic needs as well as spiritual value. This case study explores the clash between the Belizean government's need to attract foreign currency through meeting commercial interests of a Malaysian logging firm and the Mayan people's material and spiritual need to preserve the rainforest. This interests brought these parties into conflict. Beale, Jonathan. “The Marathon Man of Nicaraguan Politics.” BBC News. September 14, 2006. http://news.bbc.co.uk/go/pr/fr/-/2/hi/programmes/from_our_own_correspondent/5305442.stm (accessed 8 October 2006). “Contra Contamination.” Earth Island Journal 12, no. 4 (Fall 1997): 12. Correlates of War. “Armed Conflicts Database.” http://www.correlatesofwar.org/ (accessed September 25, 2006). Cupples, Julie. “Counter-Revolutionary Women: Gender and Reconciliation in Post-War Nicaragua.” Gender and Development 12, no. 3 (Nov 2004): 8-18. Du Nann Winter, Deborah. “War is not Healthy for Children and Other Living Things.” Peace and Conflict: Journal of Peace Psychology 4, no 4 (1998): 415-428. Faber, Daniel. “Imperialism, Revolution, and the Ecological Crisis of Central America.” Latin American Perspectives 19, no. 1 (Winter 1992): 17-44. Faulkner, Frank and Lloyd Pettiford. “Complexity and Simplicity: Landmines, Peace and Security in Central America.” Third World Quarterly 19, no. 1 (1998): 45-61. Garfield, Richard M. “Health and the War Against Nicaragua, 1981-84.” Journal of Public Health Policy 6, no. 1 (March 1985): 116-131. Harris, Richard L. “The Revolutionary Transformation of Nicaragua.” Latin American Perspectives 14, no. 1 (Winter 1987): 3-18. Human Rights Watch. “The Mine Ban Treaty and the Americas.” http://hrw.org/landmines/mbt-americas.htm (accessed 12 September 2006). International Campaign To Ban Landmines (ICBL). “Landmine Monitor Report 2005: Nicaragua.” http://www.icbl.org/lm/country/nicaragua (accessed 10 September 2006). Leogrande, William M. "Making the Economy Scream: US Economic Sanctions Against Sandinista Nicaragua." Third World Quarterly, 17, no. 2, (1996): 329-348. “A New Revolution Shakes Nicaragua.” The Toronto Star. February 28, 1990. http://web.lexis-nexis.com.proxyau.wrlc.org/universe/. (accessed 27 September 2006). “Nicaragua.” World Almanac and Book of Facts. (2005): 807-808. “Ortega Wins Nicaraguan Election.” BBC News. November 8, 2006. http://news.bbc.co.uk/2/hi/americas/6117704.stm (accessed 28 November 2006). Paris, Roland. “Peacebuilding in Central America: Reproducing the Sources of Conflict?” International Peacekeeping 9, no. 4 (Winter 2002): 39-68. Schroeder, Michael, J. “Bandits and Blanket Thieves, Communists and Terrorists: the Politics of Naming Sandinistas in Nicaragua, 1927-36 and 1979-90.” Third World Quarterly 26, no. 1 (2005): 67-86. Thrupp, Lori Ann. “Pesticides and Policies: Approaches to Pest-Control Dilemmas in Nicaragua and Costa Rica.” Latin American Perspectives 15, no. 4 (Autumn 1988): 37-70. UNICEF. 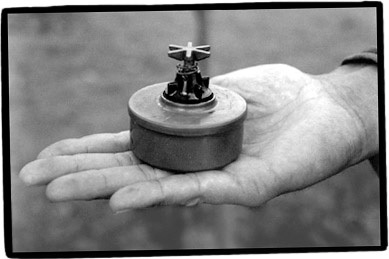 “Land-mines: A deadly inheritance.” http://www.unicef.org/graca/mines.htm (accessed 10 September 2006). UNICEF. “The legacy of land-mines.” http://www.unicef.org/sowc96/9ldmines.htm (accessed 12 September 2006). “US Urges Nicaragua to Shun Ortega.” BBC News. April 19, 2006. http://news.bbc.co.uk/go/pr/fr/-/2/hi/americas/4921916.stm (accessed 8 October 2006). Vandermeer, John. “Environmental Problems Arising from National Revolutions in the Third World: The Case of Nicaragua.” Social Text 23 (1991): 39-45. Walter, Barbara F. “The Critical Barrier to Civil War Settlement.” International Organization 51, no. 3 (Summer 1997): 335-64.